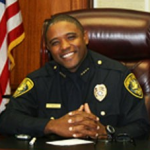 This session was dedicated to the memory of Chief Floyd Simpson, Corpus Christi Police Department. On June 10, 2015, an attentive audience at the Texas Traffic Safety Conference listened as State Senator Juan “Chuy” Hinojosa shared his personal insights on the recently concluded 84th Regular Session of the Texas Legislature. Senator Hinojosa covered a number of topics in the traffic safety arena including texting and other distracting practices while driving, licenses for nonresidents, motorcycle safety, bicycles, seat belts, driving while intoxicated, the Driver Responsibility Program, school buses, red light cameras, appropriations, and TxDOT. Senator Hinojosa graciously responded to a number of questions from the audience about public education campaigns, transportation funding, and enforcement. Attendees came away with a better understanding of how lawmakers consider proposals, especially the need to identify possible unintended consequences, and the importance of public acceptance for the success of new legislation. TTI’s Transportation Policy Research Center created a webpage that includes all Traffic Safety Legislation that passed this 84th Regular Session. Robert Wunderlich and Texas A&M University System Vice Chancellor Tommy Williams. Senator Hinojosa sports his cowboy hat at the Texas Traffic Safety Conference.